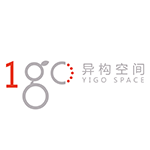 Yigo Space (Beijing) Science & Technology Co., Ltd.
Yigo Space (officially Yigo Space (Beijing) Science & Technology Co., Ltd.) is a smart device manufacture company headquartered in Beijing, China. It is a start-up which was founded in the end of 2015. The first product is Go-play, a wearable wireless recording device for mobile video shooting. It needs to cooperate with the exclusive app to record and retrieve the audio from Go-play. The App is capable of mixing the quality audio from Go-play and the video on your smart devices, editing and sharing. We’re aiming at making mobile video shooting with same quality as filming a movie.